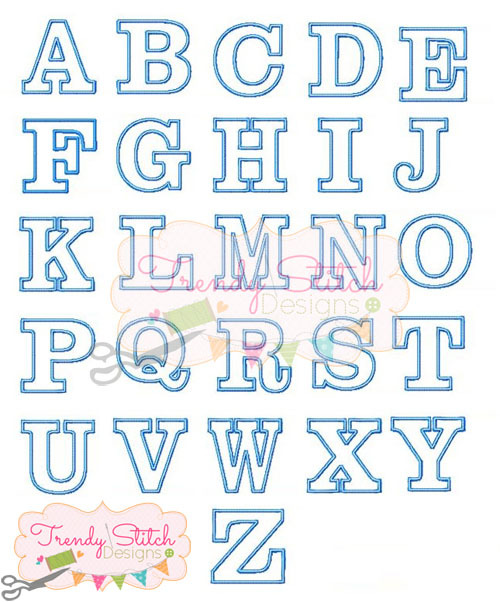 This is for the Applique font only. This comes in Capital letters only A-Z. It comes in Satin Stitch, Satin OL (Outline Bean stitch) AND zigzag stitch! NOTE: the font we used to type the name Houston is our NELLY font and can be purchased in a separate listing. It IS NOT included in this listing. 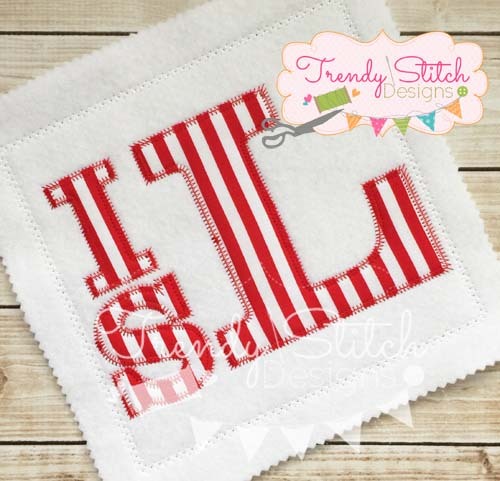 I used the 5 in and 2.5in sizes in ZIGZAG stitch to create the Squared monogram style.